The University of South Carolina College of Pharmacy began educating pharmacists 151 years ago. The Continuing Education department is committed to providing quality continuing education to pharmacists, pharmacy technicians and other healthcare professionals. The University of South Carolina College of Pharmacy is accredited by the Accreditation Council for Pharmacy Education (ACPE) as a provider for continuing pharmacy education. Should you have any questions regarding upcoming programs or claiming credit, please feel free to reach out at CE@cop.sc.edu or 803-777-9979. 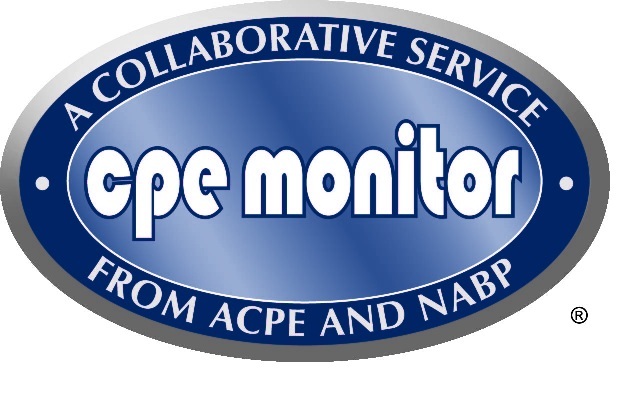 In order to obtain Continuing Pharmacy Education (CPE), pharmacists and pharmacy technicians must register in the CPE Monitor® system. To receive credit for courses, programs attended live or by home study must be submitted by accredited providers no later than 60 days after completion of the CPE activity. Credit submitted after this time will be rejected by the CPE Monitor. To ensure that we have adequate time to submit activity in accordance with this rule and contact you regarding any issues with transmission, we request participants to complete evaluations and update their profile within 30 days of the activity. If we can assist you with any questions regarding completion and reporting of CPE activity credit, please feel free to contact us. Please note that not all programs listed below are available for registration via our site. They will direct you to another link for registration if necessary!